Jose grew up in Northern California in a small town called Windsor where he along with his parents and two older brothers emigrated from Mexico in 1994. He is a first generation college student and thanks his parents and both brothers for his success; if it weren’t for them he wouldn’t be where he is today. He strives to one day repay them for all of the sacrifice they have done for him. He enjoys playing soccer on his down time, as he used to play competitively before college, also a four-year varsity soccer player in high school. He enjoys running and staying in shape and enjoys spending time with his family, watching sports like soccer and basketball, and exploring San Francisco and the cities surrounding it. He is an active member of two organizations Hermanos Unidos de SFSU and ALPFA at SF State. However, he is currently studying abroad in Madrid, Spain taking Business Administration classes. Hermanos Unidos – a non-profit organization that engages in events like community service, academic, and social networking with the intention to break social Latino stereotypes. He took the leadership role of Community Service Chair during the academic year 2014-2015 where he planned community service events benefitting the Latino community in San Francisco. ALPFA - a non-profit organization where he participates in workshops that improve skills in public speaking, networking, resume building and professionalism. He has taken various leadership roles, Director of Social Affairs Fall 2015, and currently the Director of Corporate Partnership. 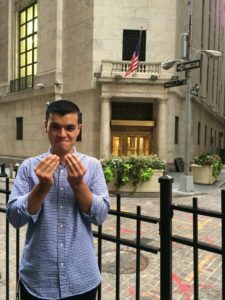 With the help of ALPFA he interviewed and was offered an internship with PricewaterhouseCoopers (PwC) for summer 2015 to join their Start Internship program. After completion he was offered and accepted an extension for this upcoming summer of 2016 where he will join the Start Master Internship. He also served as an informal liaison to PwC in bringing new talent from San Francisco State to join the firm. Two of his ALPFA referrals who are now members will be joining him at PwC in the summer. 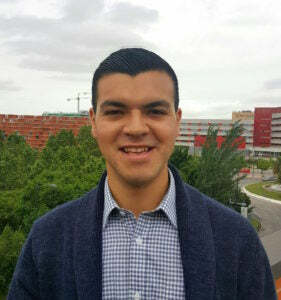 He aspires to become a CPA (Certified Public Accounting) after graduation and towards the end of his career payback by first obtaining a master or PhD in education and teach High Schools students in his hometown of Windsor, CA.